After a lengthy hiatus, Vampire Weekend are getting back up to speed this year, with the famed indie-rock band tearing through a series of tour dates this summer which saw the band performing some exciting and fascinating covers. Of course, fans have been clamoring for new material as the group has not released a new record since 2013’s Modern Vampires of the City. Well, the wait is finally over as frontman Ezra Koenig played a couple of new songs from his phone at a Lollapalooza afterparty over the weekend, as reported by Pitchfork. During the band’s afterparty show at Metro in Chicago, Koenig plugged his phone into an AUX cable and played a few new songs over the PA system, watching the crowd to gauge their reaction. 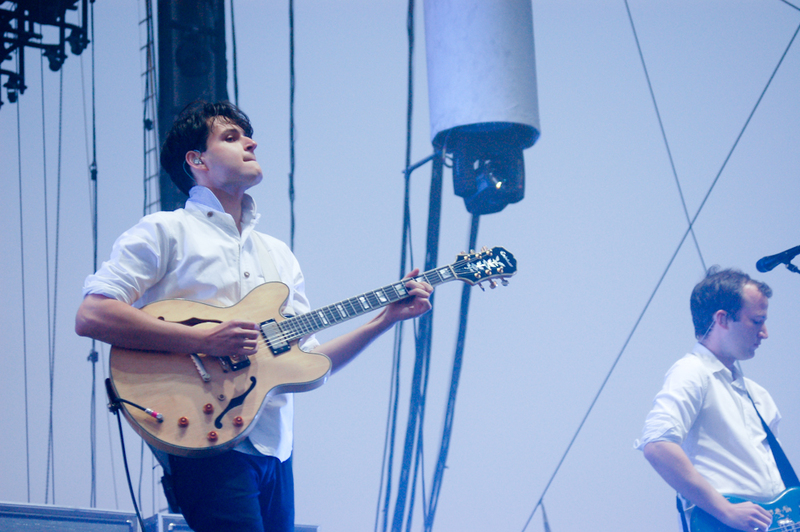 Vampire Weekend also debuted a new song during the performance, which has caused rumors of a new album to grow even more. In addition, the band was selling new merchandise which appeared to have new song lyrics printed on them. With their apparent signing to Sony and projected third-quarter release this year, it is only a matter of time before Vampire Weekend drops some more details on this new record. While leaving indie label XL Recordings for a behemoth like Sony may ruffle some feathers in the fanbase, with the band’s track record and musical pedigree, even the prickliest of indie fans is no doubt excited at the prospect of another Vampire Weekend album. “We took our vows in summertime / Now we find ourselves in late December” written on the sleeves.